Tax experts and law experts alike must stay up to date on the latest adjustments to how Americans are supposed to file their taxes. Most of the changes for 2016 are small but significant. Here is a list of some of the most outstanding tax law updates for this year. A health savings account, or HSA, is a tax-exempt savings account that individuals and families can use to cover medical expenses that insurance will not. You can use it, for example, to cover a high-deductible on an insurance policy. In the past, the highest allowed tax-deductible contribution that an individual could make to an HSA was $3,350 per year. That number has not changed in 2016. However, the maximum allowed contribution for families has changed, increasing from $6,650 to $6,750. As has been true in the past couple of years, individuals and families without health insurance must pay a fee for each month they go without coverage. The penalty for not being covered, sometimes known as the individual mandate or the individual shared responsibility payment, has increased for 2016. The fee is 2.5 percent of a household’s income, and the maximum fine is equivalent to the national average price of a Bronze health coverage plan sold through the Marketplace. The fee could also be $695 per adult and $347.50 per child under 18, depending on which penalty option is highest. For individuals that pay via the percentage method of calculation, only income above the tax filing threshold counts. The filing threshold for married couples filing jointly is $20,600, and the threshold for individuals is $10,300. 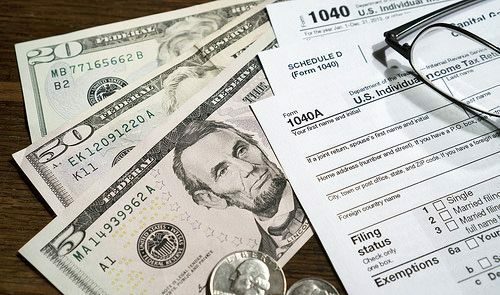 The Protecting Americans from Tax Hikes Act, also known as the PATH act, will impact how some Americans pay their taxes for the 2016 tax year. The act passed in December 2015, and its contents affect both individual taxpayers and businesses. This year the enhanced child tax credit (CTC) became permanent. This is a $1,000 credit for qualified taxpayers. Other tax credits made permanent under the PATH act include the Enhanced Earned Income Credit and the Enhanced American Opportunity Tax Credit. Businesses benefit from the PATH act because it opens the door for them to take advantage of more deductions. The 2016 deadline for filing 2015 taxes was April 18 instead of the traditional April 15. This is because April 15 fell on a federal holiday and on a Friday. In Maine and Massachusetts, the deadline was even extended to April 19. The circumstances in 2016 were unique, so don’t expect the new deadline to continue into 2017. Tax laws are complex, and a year never goes by without some important changes to how Americans file their taxes. Staying abreast of these changes can help taxpayers and tax experts get the most benefit when they submit their forms to the IRS.